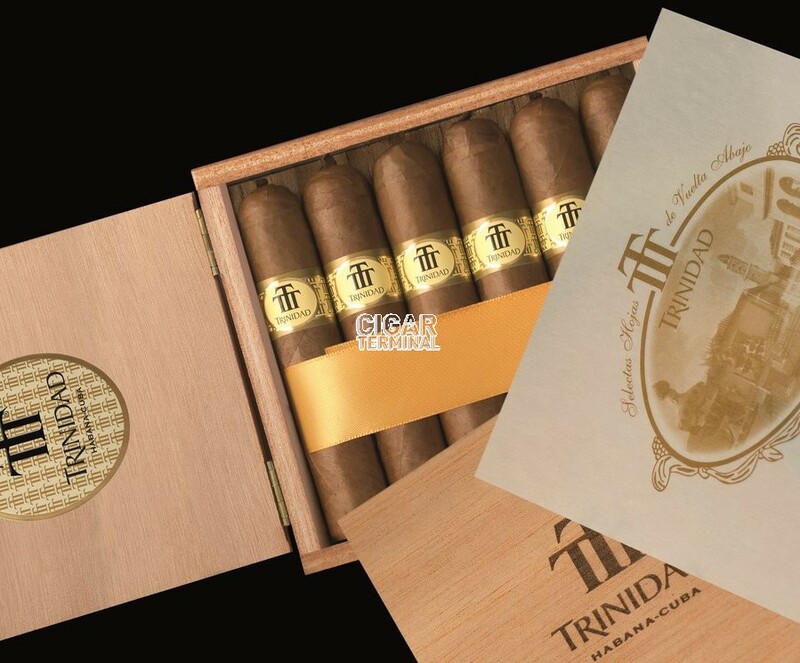 The Trinidad Vigia has the biggest vitola ring gauge among Trinidad’s other vitolas, and with its short length, the brand offers a cigar that is ideal for modern smokers. • Powerful cigar, with lots of woody, spicy flavors. • Good potential for aging. Despite being a young cigar, it has a great potential for aging. This cigar is a pretty complex smoke for experienced smokers. The cigar is looking beautiful and tightly rolled. The veins are virtually invisible, the seams are very tight, and the double cap is large and turned elegantly into the typical Trinidad pig-tail. The cigar feels good in hand, it seems well packed. The wrapper has a nice medium brown, Colorado claro, with some darker shade, almost like a Colorado Maduro. The wrapper is smooth to the touch, not very oily but it looks impeccable. At cold, the wrapper smells of faint tobacco. Once cut, the draw is good, not too easy, with just the right amount of resistance. The pre-light draw gives some flavors of earth, of fresh grass and of roasted nuts. Upon lighting the cigar, the cigar lights up easily and starts with some smooth notes, no harshness whatsoever. The first few draws offer typical Trinidad flavors, some roasted nuts, earth, with some spicy notes of cloves. The burn line is good, a bit wavy at times, maybe because of the cigar’s young age, but it doesn’t require any touch-ups. Throughout the whole smoke the cigar generates tons of nice and thick smoke. The first third of the cigar is well balanced and beautiful. Woodsy flavors are dominant along with some sweet spices notes of cinnamon. The notes of roasted nuts give the Trinidad Vigia some flavors reminiscent of a mocha, with very round flavors. Overall, the cigar is at a mild-medium body, and has some delicious creaminess to it. 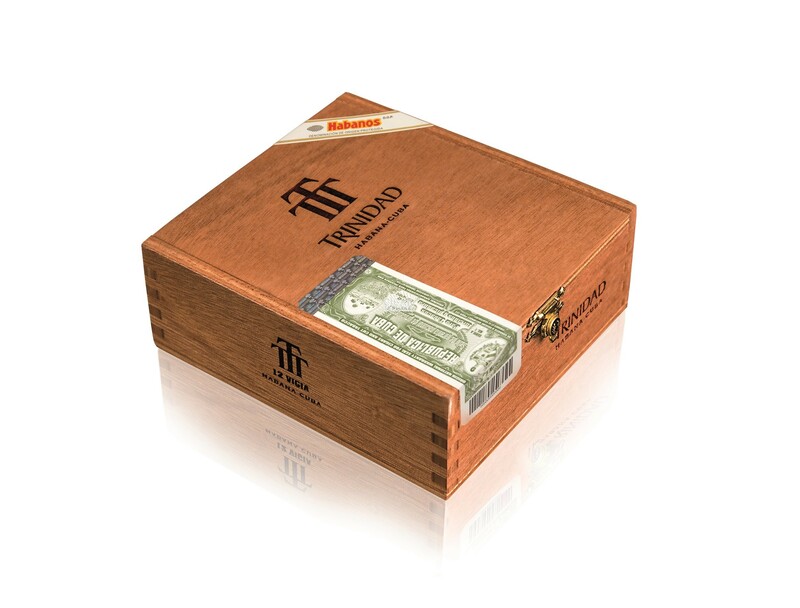 In the middle third, the body of the cigar increases in strength and it is now a medium body. The flavor profile is similar to the one offered in the first third, starting with some dry woodsy notes, then evolving towards some wet wood. The earthy notes are becoming more intense, along with some stronger flavors of spices, pepper, black coffee and a bit of bitter tobacco. The roasted hazelnuts are still around, along with some rich flavors that are almost like a cake. The hints of grassiness along with the kick from the cinnamon/cloves make this cigar a pretty complex and round smoke. In the final third, the body increases again in intensity, the smoke is powerful and dominant flavors are of earth and of spices. There is also some sweetness that joins the mix and the nuttiness remains. It is enjoyable until the nub. In summary, the Trinidad Vigia is a great spicy medium-full smoke that has great potential for aging.